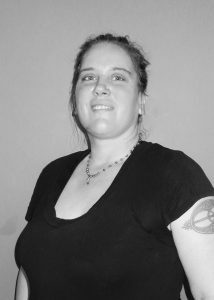 Carolyn completed her initial massage training at Heartwood Institute in Garberville, CA in 1995. Since that time she has pursued life-long learning, formal education, and experience in the natural health eld. She has worked with a diverse spectrum of clients with varying health goals and issues, adding a range of bodywork modalities through the years in addition to practicing as a western herbalist and holistic instructor. body. She especially enjoys working with people committing to their own self care and well-being at all stages, assisting in their process. She specializes in Maternity Massage and encourages pre- and post-natal mothers to receive extra care at this vital time. Along with her love of medicinal plants, Carolyn has an immense appreciation for the great outdoors – hiking and camping, natural living, homespun crafts, pets, friends & family, and being part of creating a more ecologically sustainable community here in Northern Colorado.